ASTM/ASME SA240 Stainless Steel 304/304H/304L Sheets, 304 Stainless Steel Plates, ASTM A240 TP 304H Stainless Steel Sheets and Plates, SS 304L Plate Manufacturer, Exporter, Supplier, Mumbai, India. 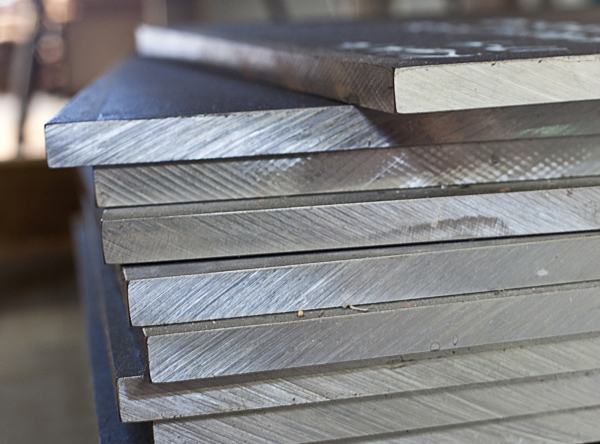 Rexton Steel & Alloys Manufacturer , Importer, Stockholder, Stainless Steel Plates ASTM A240 TP 304, premier suppliers of bulk Stainless Steel Plates ASTM A240 TP 304. We Stock worldwide. Fast delivery guaranteed for every size Stainless Steel Plates ASTM A240 TP 304. ASTM A240 TP 304 Stainless Steel Sheets, largest range of Stainless Steel Plates 304 / 304L Stainless Steel Plates Suppliers in India. One of the most versatile and commonly used stainless steels on the market, Grade 304 stainless steel is the most standard used alloy of this type. Essentially, Grade 304 is an austenitic chromium alloy which is also known as an "18/8" stainless as the make-up of the steel is 18% chromium and 8% nickel. The chromium content promotes the material's considerable resistance to the effects of corrosion and oxidation. The stainless steel alloy resists most oxidizing acids and will withstand ordinary rusting though this does not mean that the steel will not tarnish over time. The steel needs to be cold worked to generate higher tensile strength. For stainless steel sections which are welded heavily, post-weld annealing may be necessary to provide maximum corrosive resistance. 304L 30403)(S, and 304H (S30409) stainless steels are variations of the 18 percent chromium – 8 percent nickel austenitic alloy, the most familiar and most frequently used alloy in the stainless steel family. These alloys may be considered for a wide variety of applications. Alloy 304 is the standard alloy since AOD technology has made lower carbon levels more easily attainable and economical. Alloy 304L is used for welded products which might be exposed to conditions which could cause intergranular corrosion in service. Alloy 304H is a modification of Alloy 304 in which the carbon content is controlled to a range of 0.04-0.10 to provide improved high temperature strength to parts exposed to temperatures above 800°F. Alloy 304 is the standard alloy since AOD technology has made lower carbon levels more easily attainable and economical. Alloy 304L is used for welded products which might be exposed to conditions which could cause intergranular corrosion in service. Alloy 304H is a modification of Alloy 304 in which the carbon content is controlled to a range of 0.04-0.10 to provide improved high temperature strength to parts exposed to temperatures above 800°F.